Volvo Car Corporation, or Volvo Personvagnar AB, is a Swedish luxury automobile manufacturer, owned by the Chinese Zhejiang Geely Holding Group, formerly of Swedish ownership. 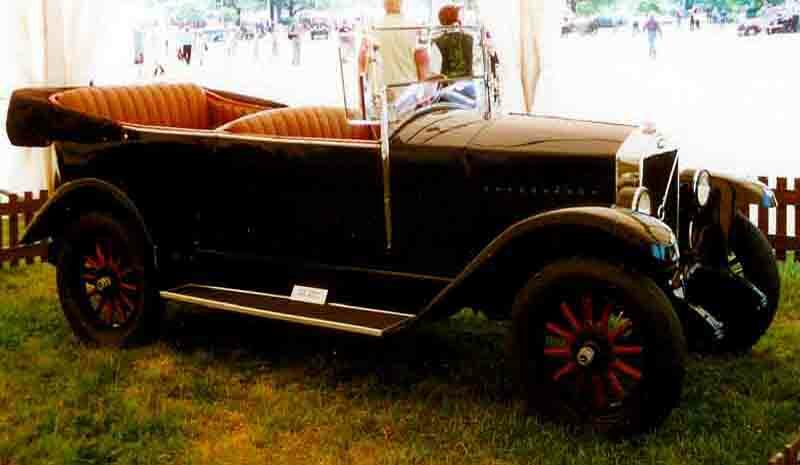 Volvo Car Corporation was founded in 1927, in Gothenburg, Sweden. Volvo was originally formed as a subsidiary company to the ball bearing maker SKF. 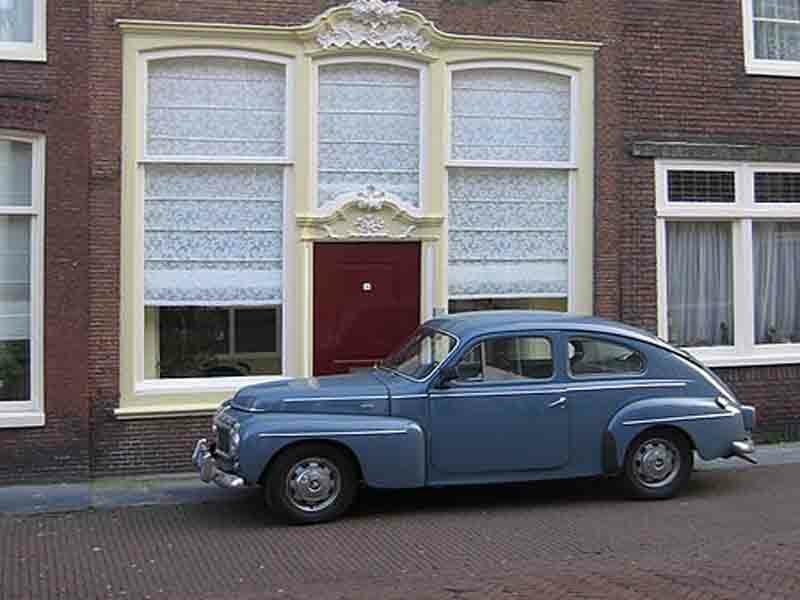 When Volvo AB was introduced on the Swedish stock exchange in 1935, SKF sold most of the shares in the company. 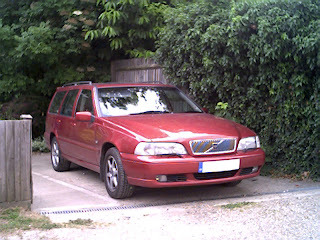 Volvo Cars was owned by AB Volvo until 1999, when it was acquired by the Ford Motor Company as part of its Premier Automotive Group. Geely Holding Group then acquired Volvo from Ford in 2010. Volvo manufactures and markets a range of SUVs, station wagons (estates), and sedans (saloons), compact executive sedans and coupes. With approximately 2,300 local dealers from around 100 national sales companies worldwide, Volvo Cars' largest markets are the United States, Sweden, China, Germany, the United Kingdom, and Belgium. In 2011, Volvo recorded global sales of 449,255 cars, an increase of 20.3% compared to 2010. "Cars are driven by people. The guiding principle behind everything we make at Volvo, therefore, is and must remain, safety", Assar Gabrielsson and Gustav Larson 1927. The trademark Volvo (which is Latin for I roll) was first registered by SKF the 11 May 1915 with the intention to use it for a special series of ball bearing for the American market (however in the application for the trademark, it was also designated for the purpose of automobiles), but it was never used for this purpose. SKF trademark as it looks today was used instead for all the SKF-products. Some pre-series of Volvo-bearings stamped with the brand name 'Volvo' were manufactured but was never released to the market and it was not until 1927 that the trademark was used again, now as a trademark and company name for an automobile. In 1964 Volvo opened its Torslanda plant in Sweden, which currently is one of its largest production sites (chiefly large cars and SUV). Then in 1965 the Ghent, Belgium plant was opened, which is the company's second largest production site (chiefly small cars). Finally in 1989 the Uddevalla plant in Sweden was opened, which is now jointly operated by Volvo Car Corporation and Pininfarina of Italy. A collection of Volvo's most important historical vehicles are now housed in The Volvo Museum, which opened in a permanent location in Arendal at Hisingen on May 30, 1995. For several years, the collection had been housed at "The Blue Hangar," at the then closed Torslanda Airport. 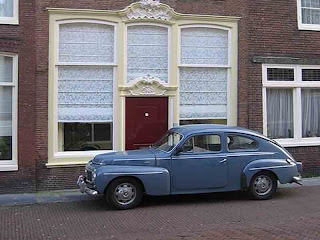 In the early 1970s, Volvo acquired the passenger car division of the Dutch company DAF, and marketed their small cars as Volvos before releasing the Dutch-built Volvo 340, which went on to be one of the biggest-selling cars in the UK market in the 1980s. When the global economic crisis of 2008 threatened the US automakers, Swedish authorities became concerned about the fate of Volvo if Ford would file for bankruptcy. These concerns mounted after repeated mass-layoffs at Volvo. Ford announced in December 2008 that it was considering selling Volvo Cars. Initially, a sale price of US$6 billion was reported,. Ford reported it was also looking into the possibility of spinning off Volvo as an independent company. The Swedish government was asked to look into a possible state ownership of Volvo, or a financial bailout for Volvo Cars and SAAB of GM. Former parent AB Volvo agreed to help Volvo cut costs through partnerships, and suggested taking part in a shared ownership of Volvo Cars amongst a larger consortium. Other rumored candidates to purchase Volvo Cars included BMW AG of Germany, Investor AB of Sweden, Chinese investors, or Russian investors. Although it was rumored that Volkswagen would buy Volvo Cars and despite initial denials, Chinese company Geely Holding Group was ultimately selected to takeover the Swedish automaker. Geely Group Holdings Co., allegedly bid between US$-1.5 billion to take over Volvo, with Goldman Sachs investing HK$2.59 billion (334 million USD) to the holding company. Ford Motor Company offered Volvo Cars for sale in December 2008, after suffering losses that year. On October 28, 2009, Ford confirmed that, after considering several offers, the preferred buyer of Volvo Cars was Zhejiang Geely Holding Group, the parent of Chinese motor manufacturer Geely Automobile. On December 23, 2009, Ford confirmed the terms of the sale to Geely had been settled. A definitive agreement was signed on March 28, 2010, for $1.8 billion. The European Commission and China's Ministry of Commerce approved the deal on July 6 and July 29, 2010, respectively. The deal closed on August 2, 2010 with Geely paying $1.3 billion cash and a $200 million note. Further payments are expected with a later price "true-up". It is the largest overseas acquisition by a Chinese automaker. Stefan Jacoby, formerly chief executive of Volkswagen of America, became Volvo Car Corporation's President and Chief Executive on August 16, 2010, replacing Stephen Odell, who became chief executive of Ford Europe. Li Shufu became Volvo Cars' Chairman of the Board. His board members include Vice-Chairman Hans-Olov Olsson, a former president and chief executive of Volvo Cars, and Håkan Samuelsson, formerly chief executive of MAN. 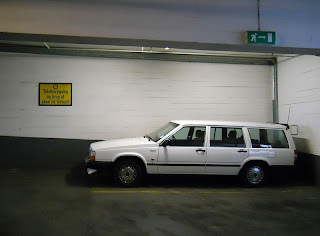 Also in 1995, the Volvo 745 was recalled due to that the front seatbelts mounts could break in a collision. In 1998 Volvo installed a head-protecting airbag, which was made standard in all new models as well as some existing models. The head-protecting airbag was not available on the 1996 C70 since the initial design deployed the airbag from the roof and the C70, being a convertible, could not accommodate such an airbag. A later version of the C70 featured a head-protecting airbag deploying upwards from the door, avoiding this problem. It has been stated by many testing authorities that side head protecting curtain airbags can reduce the risk of death in a side impact by up to 40% and brain injury by up to 55%, as well as protecting during a rollover. In 1998, Volvo introduced its Whiplash Protection System (WHIPS), a safety device to prevent injury to front seat users during collisions. In 2004, Volvo introduced the Blind Spot Information System (BLIS), which detects vehicles entering the Volvo's blind spot with a side-view-mirror-mounted camera, and alerts the driver with a light. That year also saw Volvos sold in all markets equipped with side-marker lights and daytime-running lights. Also, since 2004 all Volvo models except for the coupes (C70 and C30) are available with an all-wheel drive system developed by Haldex Traction of Sweden. In 2005, Volvo presented the second generation of Volvo C70, it comes with extra stiff door-mounted inflatable side curtains (the first of its kind in a convertible). Even though Volvo Car Corporation was owned by the Ford Motor Company, the safety systems of Volvo are still standard on all Volvo vehicles. 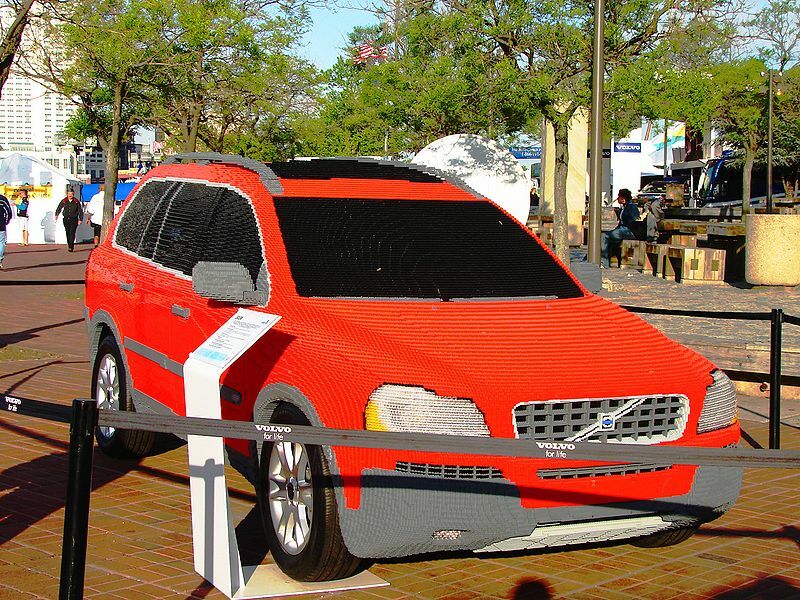 Volvo has patented all their safety innovations, including SIPS, WHIPS, ROPS, DSTC, and body structures. Some of these systems were fitted to other Ford vehicles in forms similar to those of Volvo systems, only because Volvo has licensed the FOMOCO and other PAG members to utilize these features. A 2005 Folksam report puts the 740/940 (from 1982 on) in the 15% better than average category, the second from the top category. "It's just a philosophy on safety that is different from building cars to pass these kinds of tests." In 2006 Volvo's Personal Car Communicator (PCC) remote control has been launched as an optional feature with the all-new Volvo S80. Before a driver enters their car, he or she can review the security level and know whether they have set the alarm and if the car is locked. Additionally, a heartbeat sensor warns if someone is hiding inside the car. The S80 is also the first Volvo model to feature Adaptive cruise control (ACC) with Collision Warning and Brake Support (CWBS). In 2008 a French court found Volvo partially responsible for causing the death of two children and serious injuries of one in Wasselonne on June 17, 1999, when the brakes of a 1996 Volvo 850 failed. The court subjected Volvo to a 200,000 Euro fine. According to the Insurance Institute for Highway Safety (IIHS), Volvo's S80 became one of 2009 Top Safety Picks Award winner. The previous versions of the S40 and S60 models (2005–09 models with standard side airbags) failed to attain the highest rating in their side impact test. However, according to the IIHS, in recent years Volvo Cars have still managed to maintain their high class safety ratings as seen in test results. The Volvo XC90, S80, C70, XC60, S60 and C30 are all rated Top Safety Picks in these crash tests. The 2013 models of the XC60 and S60 even received the Top Safety Pick+ rating. Today, the company uses a system of letters denoting body style followed by the series number. S stands for saloon or sedan, C stands for coupé or convertible (including 3-door hatchback aka shooting brake) and V stands for versatile as in estate car. XC stands for cross country originally added to a more rugged V70 model as the V70XC and indicates all wheel drive paired with a raised suspension to give it a mock SUV look. Volvo would later change the name to the XC70 in keeping with its car naming consistent with the XC90. So a V50 is an estate ("V") that is smaller than the V70. Originally, Volvo was planning a different naming scheme. 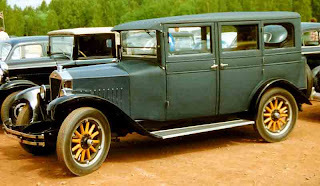 S and C were to be the same, but "F", standing for flexibility, was to be used on station wagons. 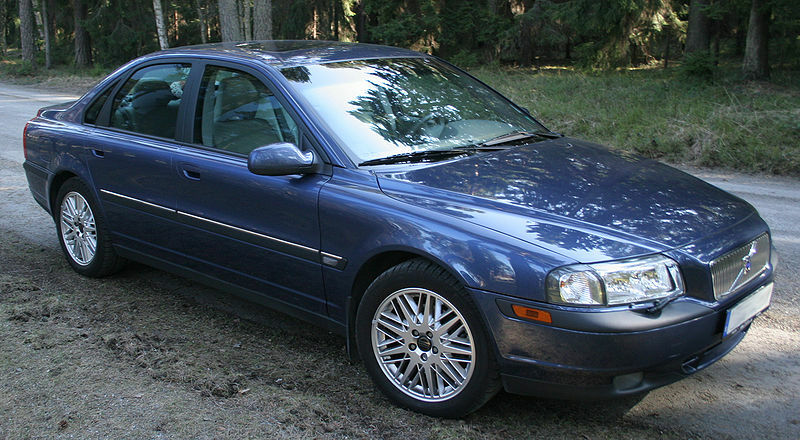 When Volvo introduced the first generation S40 and V40 in 1995, they were announced as the S4 and F4. However, Audi complained that it had inherent rights to the S4 name, since it names its sporty vehicles "S", and the yet-introduced sport version of the Audi A4 would have the S4 name. Volvo agreed to add a second digit, so the vehicles became the S40 and F40. However, that led to a complaint from Ferrari, who used the Ferrari F40 name on their legendary sports car. This led to Volvo switching the "F" to "V", for versatile. 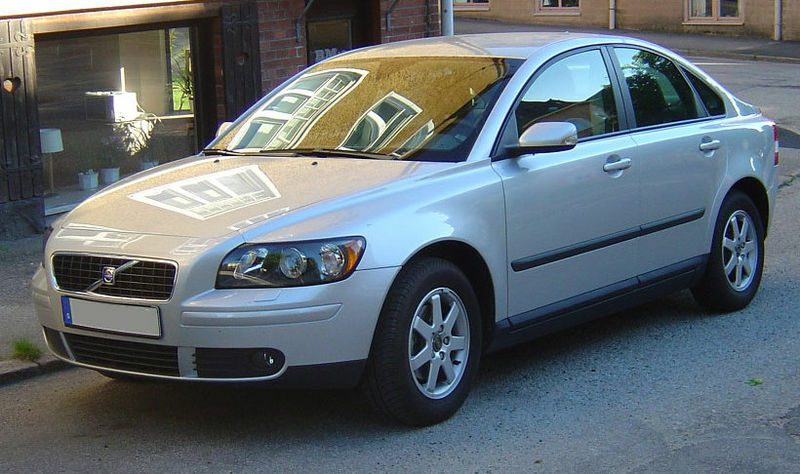 In 2005 Volvo introduced to the Sweden market the company's first E85 flexifuel models. Volvo introduced its S40 and V50 with flexible-fuel engines, joined in late 2006 by the then new C30. All Volvo models were initially restricted to the Sweden market, until 2007, when these three models were launched in eight new European markets. In 2008 Volvo launched the V70 with a 2.5-litre turbocharged flexifuel engine. On June 1, 2009, Volvo announced the launching of series production diesel-electric plug-in hybrids by 2012. The company plans to sell a series hybrid with the goal of achieving emissions of less than 50 grams of CO2 per kilometer. As part of a joint venture with Vattenfall, a Swedish energy company, Volvo converted two Volvo V70 to plug-in hybrid demonstrators that have been in field testing in Göteborg, Sweden since December 2009. Vattenfall offered customers participating in this trial the supply of renewable electricity generated from wind power or hydropower. Among other challenges, this test has allowed to experience the all-electric range at low temperatures, which has been a disadvantage of plug-in vehicles. 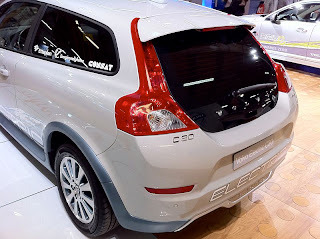 The Volvo C30 DRIVe Electric concept car was exhibited at the 2010 Paris Motor Show and Volvo announced that field testing will begin in 2011 in the U.S., Europe, and China. The C30 DRIVe electric car has a lithium-ion battery, a top speed of 130 km/h (81 mph), and an all-electric range of up to 150 kilometres (93 mi). Field testing began in 2010 with 10 units in Göteborg, Sweden. 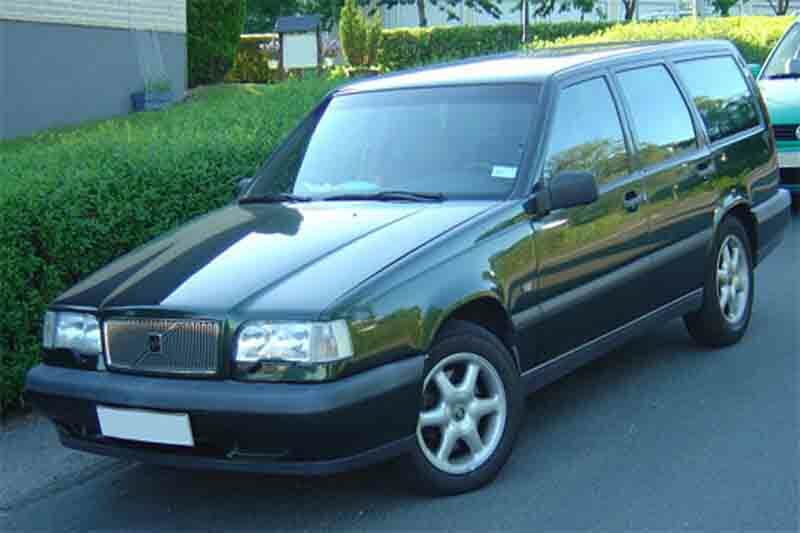 The Volvo ECC(Environmental Concept Car) was exhibited at the 1992 Paris Motor Show. The vehicles range on batteries alone was 90 miles (140 km), and when combined with a full tank of fuel for the turbine, about 415 miles (668 km). Uddevalla, Sweden (Pininfarina Sverige AB) 1989–2013, since 2005 the factory is operated by Volvo Cars and Pininfarina. Production is ending in 2013. 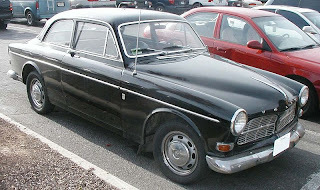 B18 and B20 – 1.8 L/2.0 L OHV 8v fitted into all Volvo models from 1961 to 1974 except 164 (and 1975 U.S. Spec 240 models). Volvo automatic transmissions in the past were made by the ZF Friedrichshafen company, but now the transmissions are co-developed with Aisin of Japan. Geartronic is Volvo Cars' name for itsmanumatic transmission. Volvo Cars sales during 2010 (2009). The name Volvo, is Latin for "I roll". The Volvo trademark is now jointly owned (50/50) by Volvo Group and Volvo Car Corporation. One of the main promotional activities for the brand is the sailing Race Volvo Ocean Race, formerly known as theWhitbread Around the World Race. There is also a Volvo Baltic Race and Volvo Pacific Race, and Volvo likes to encourage its affluent image by sponsoring golf tournaments all over the world including major championship events called the Volvo Masters and Volvo China Open. Volvo sponsored the Volvo Ocean Race, the world's leading round-the-world yacht race for the first time in 2001–2002. The next edition is taking place between 2011 and 2012. Volvo has also had a long-standing commitment to the ISAF and is involved in the Volvo/ISAF World Youth Sailing Championships since 1997. In 2012, Volvo signed NBA star Jeremy Lin to an endorsement agreement. Over the next two years Mr. Lin will participate in Volvo's corporate and marketing activities as a "brand ambassador" for Volvo Car Corp.
Last updated on 13 September 2013 at 03:37. Volvo S90 new model, reviews, video & photos.